Is that? No, it can’t be. Yes it is Hitler on the cover. Adolph Hitler wakes to find himself on a field in Berlin 2011. No mention is made as to how or why this has happened and by the end of the first two chapters or so you don’t even question it yourself. He finds himself lost and wondering what has happened to him and where all the others must be. He is dressed in the military uniform of his day and when seen by others he is mistaken as a comedian, part of a duo act. This book finds Hitler discovering the ways of the modern world, new technology, a new political system and a new world that is alien to him but he manages to find his way around this. Through a series of encounters he is made into a comedy/satirical act that has become a hit, not only on TV but also on You Tube. Everyone thinks him a mad and eccentric actor who never breaks character and never believes for a moment that he is THE Hitler. This book brings up the ghosts of the German past and tries to make a comedy of it. The Nazi salute, which has been outlawed in Germany for years, is tossed about in the book, along with chants of Mein Furher and other things that are deemed no-nos. It also brings up the past about Jews and racisms. Hitler in this book still goes on political rants, his hatred of the Jews and how he wants to get back into government. In a mad twist at the end he is revered as a character who is anti violent, which in itself is a joke. He does have to confront the issue of Jews who were gassed and does it in such a way that is so very wrong but because he has the charisma he pulls it off and looks ok. 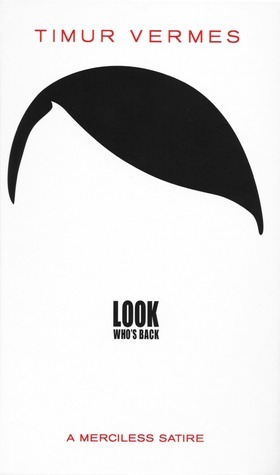 This book tries to make a mockery of Hitler but in the end it doesn’t work as well as it should. It shows that he is starting to change the people around him to his way of thinking, his charisma and charm seem to bring about things in people that shouldn’t be happening….. again. This book will offend some and it is a strange read. I must admit I did laugh out loud in some parts that are actually funny. Some parts made me angry and some made me think. It received pretty good reviews in Germany and only a German could write a book such as this. I started this review not sure how I would rate it. I was going to go for a 2 for the length of the political rants but the originality of the concept made me lean toward a 5. I am going to give it a 4. Death, have you ever thought about him, not actual physical death but the spectre called Death. How did he come about, when did he find his calling or his thoughts a feelings? Well if you ever did then this book is for you. 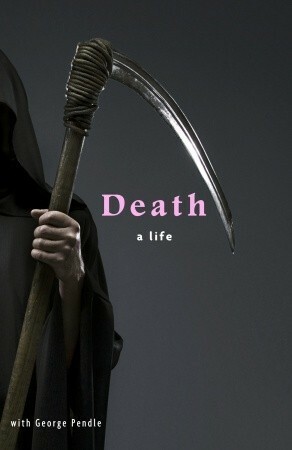 Death calls on George Pendle to write his life story, to clear up any misunderstandings and to show how he almost became ‘human’. The story starts in Hell. Sin, Death’s mother and Satan, his father, gave him the usual demonic upbringing of fire, torture, abuse and overall hatred, all of which he enjoyed. He guarded the Gates of Hell with his mother for a while until dad decided to take his wife and son to the new planet of Earth. Creation had just begun and Satan and his wife decided to cause a bit of a stir while Death wandered around trying to find his purpose in life. He hung out in the Garden of Eden talking to the trees and other new life there, stumbled onto the cave where Adam and Eve were living when God called down to earth to tell them not to eat of the Tree of Knowledge, but as the name tags of all the trees were mixed up it took some finding to get to the tree. Death talked to God and told him he had a purpose but didn’t know what it was, God said something would come up and it did in the form of a unicorn. That unicorn was Death’s first victim. Death doesn’t cause death, he just gathers the souls to move them on. We see the whole of history from the stories of the Battle of Heaven right through to modern times through the eyes of Death, how he goes from botched attempts to collect souls to gathering them on mass scales. He talks to the souls, finds out more about them before he sends them to the darkness, but things start to change and Death gets tired of death and wants to live, to have a life and to do all the things he can’t do. He suffers a breakdown after joining forces with the Horsemen of the Apocalypse, he hates the destruction of all the death and embraces life…. Naturally he is put into rehab to overcome his happiness. This is one funny story! I rather enjoy satirical books about religion and this one is no exception. I know that a lot of people don’t like books that poke fun at religion thinking it as sacrilege but I take them as they are meant to be, a bit of fun and a laugh. Have you ever woken up with the sun shining just right, the birds chirping a great tune, and your first thought is I hate how perfect everything is today? Well have I got the perfect book for a pessimist like you. On a side note, this is also a great book if you are an optimist but need a gift for your Debbie Downer friend. Chances are though, even as an optimist, you might find the book to be a nice break from the bright light of happiness and keep it for yourself! 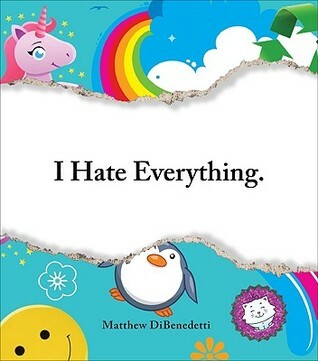 Matthew DiBenedetti quite literally hates everything, from little pet peeves to realities of the world. He is an equal-opportunity hater. I mean, he is also the author of I Hate Everyone, which is now the next book I’m going to read. I Hate Everything is filled with over 200 lists of humorous hates. With such an extensive list, you will surely find something to relate to, to laugh at, and most certainly to loathe. There are even simple sketches with the lists to help get his hatred across. I hate that stores put out back-to-school stuff while I’m still shopping for a bathing suit. I hate that rainbows only come out when it rains. I hate that I’m only happy when it rains. I hate when a songs get stuck in your head. I hate when my iPod plays a song I really don’t like. I hate that I don’t have a good P’P’P’Poker Face. The book is an easy read in a simple format so I can’t say too much without giving away all the hatred. I’m still giving the book 5/5 stars even though I hate that Amazon recommended the book for me. I hate that I bought the book. I hate that I read the book so quickly. I hate that I agreed with almost every list. I hate that this book can also be used to help end the barren coffee table epidemic. Let me start this review off by saying that I stopped reading books for a several years because my advanced English class in High School. It seriously made me hate books. I read a few here and there (thanks to recommendations from Vi), but never really got into reading on a regular basis. But thanks to a book left on a gifted Kindle, my life changed. 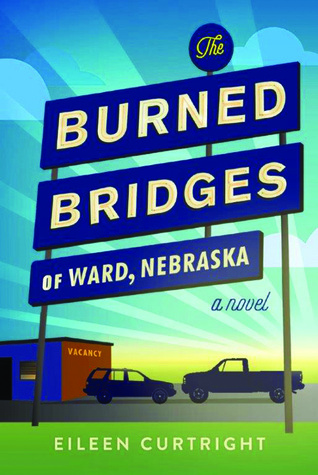 I didn’t know anything about the book or Jenny Lawson for that matter, but the cover caught my attention right away. 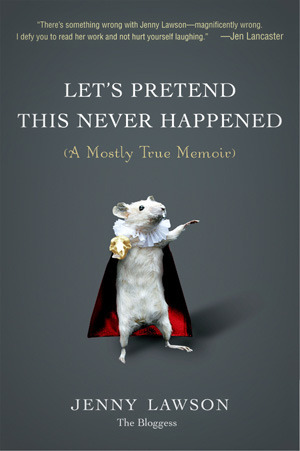 It reminded me of the movie Dinner With Schmucks and since I loved that movie, I figured I might like the book. Once I started reading, I couldn’t set it down. I found myself captivated by every chapter, awkwardly laughing to myself in corners at work and home. Once finished, I became a spokesperson for the book, suggesting it to friends and even strangers. I even started a mini-book club about the book at work. Let’s Pretend This Never Happened is the reason I’m excited to read again and the reason I can participate in the blog. In the book, Jenny Lawson takes us through a magical journey through her life. We start with her strange but relatable (especially if you lived near farms in the Midwest like me) childhood. The first several chapters are filled with stories of her slightly crazy taxidermist father, bread sack shoes and her array of pets which included turkeys. The chapter about Stanley the Magical Talking Squirrel literally brought me to tears. As she grows up, we learn more about her anxiety disorder. Though it is a serious subject, she writes about her disorder in such a way that you can’t help but laugh when she hides in a bathroom at cocktail parties. And we’ve all been there at parties when it gets uncomfortable silent and our minds wander, but the silence causes Jenny to blurt things out like: NECROPHILIA IS BAD, and then proceed to talk about why necrophilia is bad. You find yourself sympathetic, amused, and charmed by her awkward social encounters. I wish I could invite her to every party I host. The book if filled with humorous chapters from her high school days, her time in Human Resources, her fights with her husband (who I believe is a very patient man), and her daughter. But Lawson also uses her witty humor to intermix the more serious moment of her life. Her anxiety disorder, her anorexia, her miscarriages, and the horrible chapter about the death of her dog (which also brought me to tears). Luckily she always manages to add some comment that will have you laughing on the next page. Throughout the book you’ll probably ask yourself numerous times: Did that really happen? Did she really buy a giant metal chicken? Was there really a family of squirrels swimming down the river? While there are some pictures to verify some stories, don’t stress about the rest. Who cares if some parts were exaggerated. She said it was Mostly True anyways. So enjoy the book and appreciate the laughs it is sure to provide. 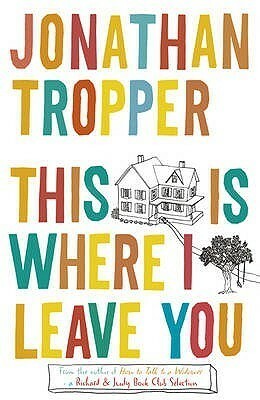 The book gets 5/5 stars for reminding me that the best stories come from books.